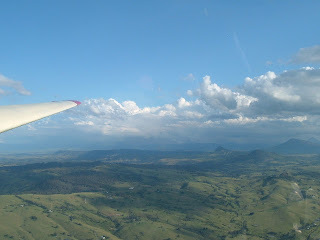 These are some views of the Scenic Rim Mountains from 1100m taken when I was gliding today. 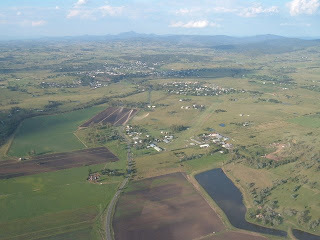 The photo with the brown fields also contains the gliding airstrip, can you spot it? 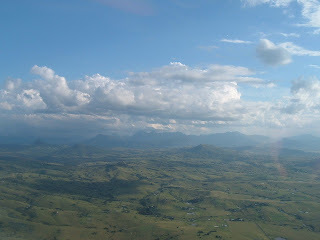 The area has got plenty of rain and all looks very green, everyone comments about it as for 5 years they suffered a terrible drought here. 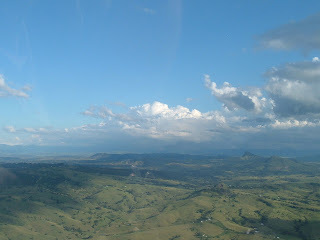 It looks nice from the air; is this also near Beechmont?